Year 5: Characteristics Of Places is part of the Australian Geography Series, which comprises nine books in total. 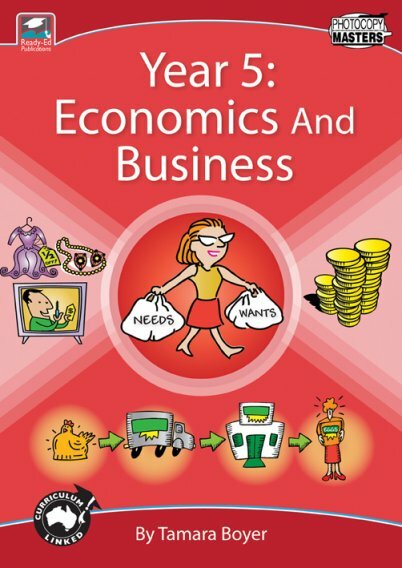 This book has been written specifically for students in Year 5 who are living in Australia and studying Geography. The activity book is arranged into two sections: Influences: Human And Environmental and Climate, Savannahs And Bushfires. 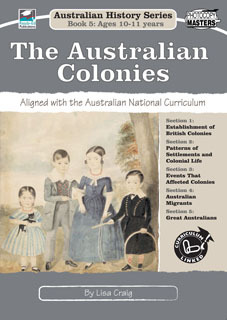 Both sections are closely linked to the Australian National Curriculum. The first section, Influences: Human And Environmental, explores how landforms affect the development of settlements, and how people affect the environmental characteristics of a place through changes such as urban planning. Students are given the opportunity to investigate local planning issues and in this way begin to recognise that people influence the human characteristics of places and the management of spaces within them. The second section, Climate, Savannahs And Bushfires, introduces students to concepts related to climate such as: temperature and rainfall patterns, elevation and vegetation. Students are asked to make a link between climate and where people live. The climate zone and sustainable land use of Australia’s hot and humid savannahs is compared and contrasted with those in East Indonesia. Students will be asked to explain the threats to the savannah lands and research possible responses to these threats. This section also explores indigenous land and resource management and evaluates the changes that have occurred to the land after colonisation. The effects of bushfires on communities and environments also features. 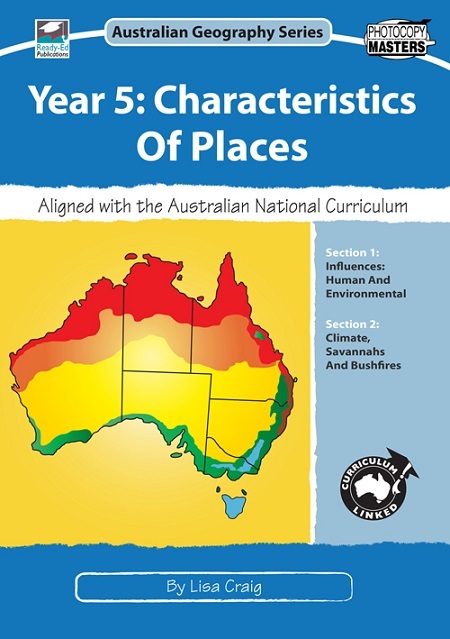 Year 5: Characteristics Of Places is a teacher-friendly resource for 10-11 year olds studying Geography. The influence of climate on human activities will be explored from multiple perspectives through tasks designed to develop thinking skills. Information is supported by ample illustrations, photograph studies and map data.